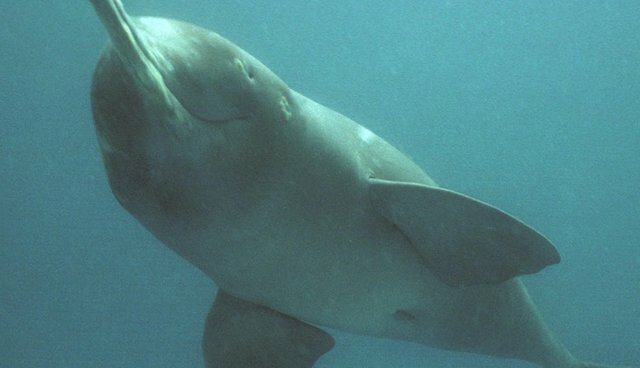 According to a new study published in the research journal PLoS ONE, conservationists need to reconsider how they're going to save the Ganges river dolphin -- one of just four extant river dolphins desperately in need of protection. Currently, conservationists rely on visual survey methods, which involve conservationists actually seeing and recording live dolphins. But the new study's lead researcher, Nadia Richman, believes there's a better way. "Freshwater cetaceans occupy some of the most densely populated and polluted river systems in the world," Richman said. "We need to make decisions about the best way to manage these species before another becomes extinct. However, these decisions need to be based on evidence which means we need methods that can detect changes in population size in the quickest time possible and for the least cost." Those changes, she said, can best be detected using the dolphins' intra-pod communication, in addition to traditional visual survey methods. Relying on a combined visual-acoustic survey could help conservation researchers keep track of individual dolphins as well as larger populations -- and it could eventually save the entire species.